Source: “1728 Ratification at Annapolis Royal of the Treaty of 1725” by Nova Scotia Archives. Used with permission. Done at the Fort of Annapolis Royal on Nova Scotia this thirtieth day of May of the first Year of the Reign of our Sovereign Lord George the Second By the Grace of God of Great Britain, France & Ireland King Defender of the Faith & etc. 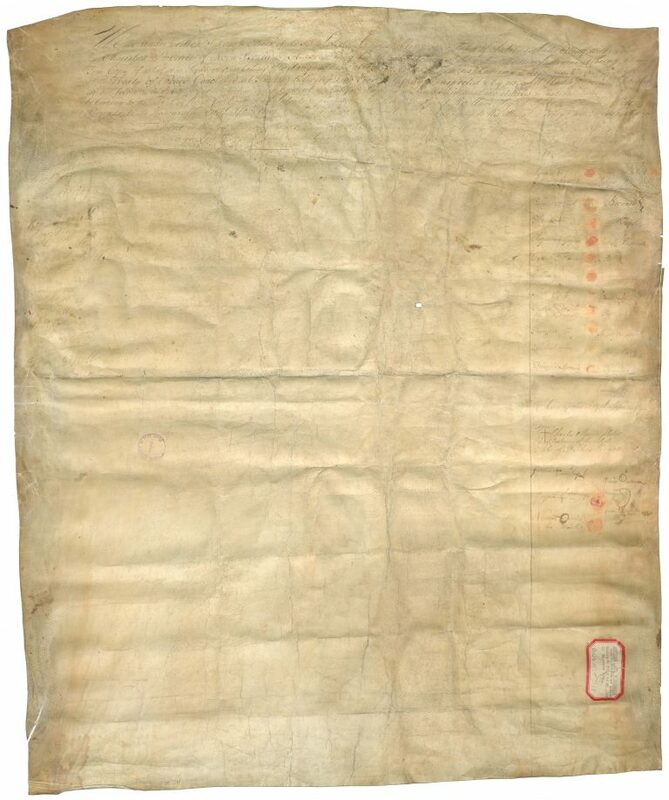 Document 4: Peace and Friendship Treaty Ratification (1728) by Sean Kheraj and Tom Peace is licensed under a Creative Commons Attribution-NonCommercial-ShareAlike 4.0 International License, except where otherwise noted.